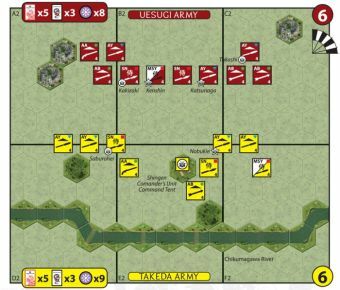 The Uesugi troops were deployed in a “Winding Wheel” formation as their forces advanced. 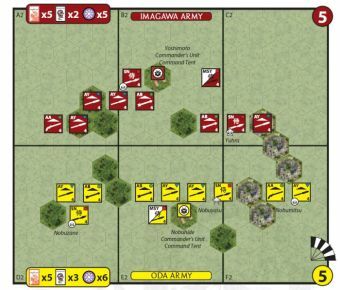 This tactical formation allowed their front line units to be replaced by fresh troops as the forces moved forward. 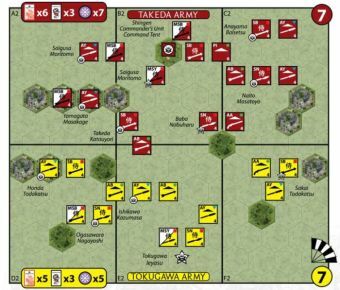 While the Takeda units, deployed in a “Crane Wing” formation and could not bring units forward as quickly. 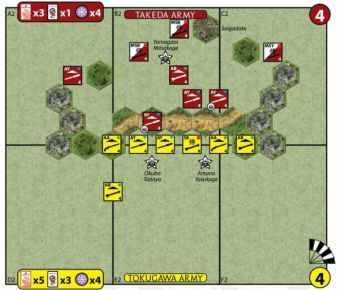 Yamamoto Kansuke, seeing his army being pushed back, realized that “Operation Woodpecker” had failed. 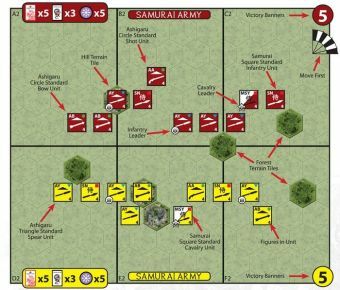 Accepting responsibility, he charged forward into the Uesugi lines in true Samurai fashion. He fought bravely until overcome by wounds and nally withdrew to commit seppuku. 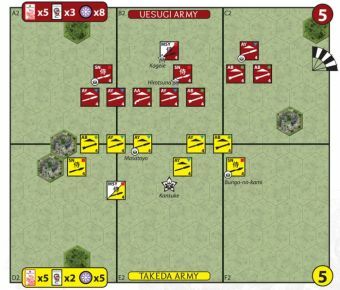 5-3 Victory for Red that could have gone either way. 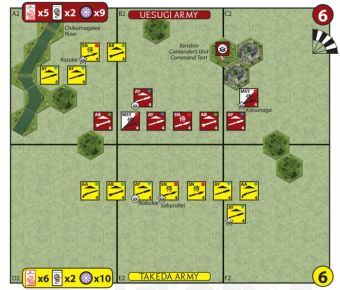 An early rice famine and uprising of farmers plummeted Uesugi's honor from the start. 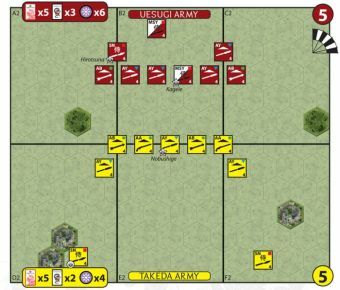 In summary, a total of three victories for the red and two for the yellow. 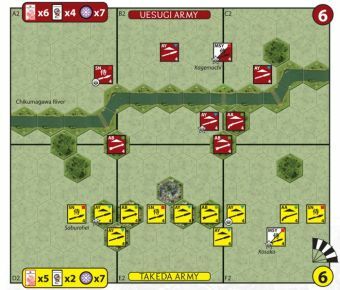 All in all we found the scenario quite balanced and a lot of fun to play.